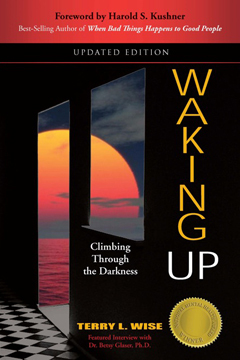 I have now had a chance to read your book, Waking Up: Climbing Through the Darkness, and I want to tell you how enthusiastic I am about your wonderful work! You have written with great insight, courage, sensitivity and integrity. You have done an extraordinary job of describing your own personal journey and the process of psychotherapy. The only other person I can think of who has managed to describe such a process is the famous psychiatrist and author, Dr. Irvin Yalom.